In what may well turn out to be a key development in displays, Samsung and the University of Cambridge have developed a small prototype display using quantum dots that are transfer printed onto a substrate. Light-emitting diodes with quantum dot luminophores demonstrate high quantum yields, extremely narrow emission, spectral tunability and high stability, among other beneficial characteristics, but up until now the inability to achieve size-selective quantum dot patterning by conventional methods has hindered the development of full-colour quantum dot displays. The researchers have demonstrated a large-area, full-colour quantum dot display, including in flexible form, using optimized quantum dot films, and with control of the nano-interfaces and carrier behaviour. The printed quantum dot films exhibit excellent morphology, well-ordered quantum dot structure and clearly defined interfaces and have been produced through the solvent-free transfer of quantum dot films and the compact structure of the quantum dot networks. The results suggest routes towards creating large-scale optoelectronic devices in displays, solid-state lighting and photovoltaics, say the team. Hot on the heels of its acquisition of SiBeam, Silicon Image is launching a third generation 60GHz WirelessHD chipset for high speed HD video applications. The SiI6300 family consists of the SiI6320 HRTX Network Processor, SiI6321 HRRX Network Processor and SiI6310 HRTR RF Transceiver and place the company at the forefront of delivering true uncompressed and lossless 1080p Full HD audio and video via a cost-effective, end-to-end wireless video solution for consumer electronics (CE), personal computing (PC) and mobile applications. The chipset is designed to support the latest WirelessHD 1.1 features including support for 1080p/60, 36-bit Deep Colour video, all 3D formats and a host of link robustness improvements. It is also designed to be more cost-effective and lower power, and to feature a smaller form-factor compared to the previous generation SB9200. Each chipset will include a Network Processor and an RF Transceiver. The SiI6320 HRTX Network Processor and the SiI6310 HRTR RF Transceiver are targeted for design into mobile devices such as notebook PCs and tablets as well as CE devices including A/V receivers, home theater-in-a-box systems, Blu-ray Disc players and set-top boxes while the SiI6321 HRRX Network Processor and the SiI6310 HRTR RF Transceiver are targeted for integration into DTVs, PC monitors and front projectors. The features expected to help lower overall system cost include cost-effective organic RF packaging for the SiI6310, an integrated buck converter controller for lower cost, higher efficiency modules, an integrated HDMI Audio Return Channel compatible with LR-Audio and smaller form factor packaging and lower power consumption for mobile devices. Silicon Image’s WirelessHD chipsets embed OmniLink60 advanced adaptive beam-forming technology providing robust operation over 10m in non-line of sight (NLOS) conditions. New power savings features automatically adjust output power for optimal performance when operating or to lower power states when the chipset is not actively transmitting thereby maximizing power savings for mobile applications. By operating at 60GHz, the chipsets are designed not to suffer interference issues seen with other wireless audio/video solutions based on 2.4GHz and 5GHz. The SK6300 WirelessHD Development Kits will be available for CE, PC and mobile manufacturers to integrate WirelessHD into their next-generation product lines. The development kits include manufacturing-ready WirelessHD modules as well as full documentation including the user guide, schematics, bill of materials, Gerber files, and reference firmware. More than fifteen leading technology companies— including some of the largest semiconductor companies—have joined forces to speed the adoption of computer vision capabilities in electronic products. The ability of machines to see and understand their environments - embedded vision - promises to transform the electronics industry with products that are more intelligent and aware of their environments, and to create significant new markets for electronic equipment and components. The Embedded Vision Alliance (www.embedded-vision.com), aims to enable the proliferation of embedded vision technology by providing design engineers with information, practical know-how, and industry standards. Renesas Electronics has launched a family of five 16bit single chip microcontrollers for the LED control, power supply control and communication functions required in LED lighting fixtures. The RL78/I1A family addresses the need of a variety of lifestyles for lower cost, high-colour dimming and color temperature control and supports lighting communication standards for centralized control in buildings and offices. 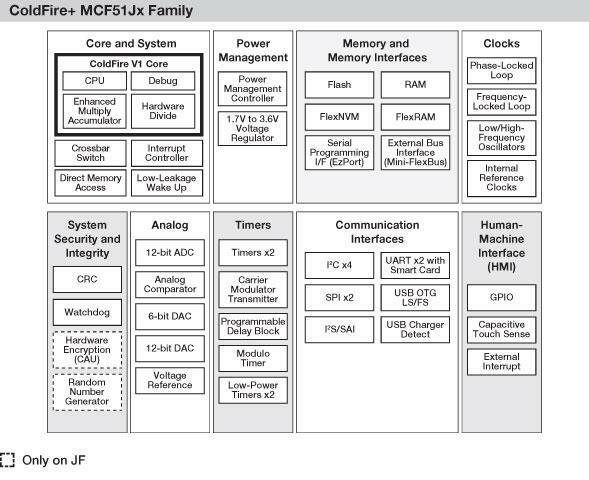 The new MCUs use the RL78 CPU core, which achieves both high computational performance and ultra low power consumption, and include from 32 to 64 kilobytes (KB) of flash memory in 20 to 38-pin package versions. These devices use 20% less power than the existing 78K0/Ix2 products. Renesas is also launching evaluation boards, automatic software generation tools (Appilet EZ for HCD), a lighting fixture communication standard library, and other tools required for the development and evaluation of MCU software for lighting fixture applications in July. LED lighting, which features low power consumption and long lifetimes, is the focus of attention as an effort to reduce CO2 emissions on a global scale. LED illumination is becoming increasingly widely used in industrial and commercial facilities, in streetlights, and in home lighting. The global market for LED lighting equipment is expected to grow rapidly from the roughly 20 million units sold in 2009 to over 400 million units in 2014. These new lighting MCUs provide six high-resolution PWM outputs that are capable of supporting an average resolution of 0.97 ns. This allows dimming and color temperature adjustments about 25 times more precise than RL78/Ix2 products. These new MCUs also include a new PWM output on/off control timer that allows them to support either current or PWM-based dimming adjustment. They also include a PGA (programmable gain amplifier) that can amplify the A/D converter input level by up to a factor of 32 to support high-precision LED current measurement. Not only does this make even finer-grained brightness adjustment possible, it also allows a smaller current measurement resistor to be used, thus contributing to reduced overall system power consumption. A new PFC control function supports interleaved operation for in high-power equipment requiring improved power factors. As the internal comparators and an interrupt pin are internally interlocked with the PWM timers, this enables efficient PFC control without CPU involvement and eliminates the need for an external PFC control IC. The new MCUs provide an overcurrent detection function that uses comparators (including window comparators that allow both upper and lower limits to be set) for overvoltage and overcurrent detection and stops PWM timer output automatically. This function can prevent breakdowns in lighting fixtures. The architecture allows different port output states when a forcible output stop occurs to be selected from three types: high-level output, low-level output, or high impedance, to support a wide range of protection circuits. The RL78/I1A MCUs support the IEC60730 European Home Appliance Safety Standard which is necessary for lighting fixtures by including; a FLASH memory CRC (cyclic redundancy check) calculation function, RAM parity error detection function, clock frequency detection function and illegal memory access prevention function. In addition to CSI, these devices also support the I²C bus and UART (DMX512) standards and even the DALI (Digital Addressable Lighting Interface) open standard for lighting communication which also supports extended DALI frames so they can flexibly support lighting communication protocols. Samples are available now, priced at US$2.50 per unit for the 38-pin, 64 KB flash memory, 4 KB RAM version. Mass production is scheduled to begin in January 2012 and is expected to reach a combined volume of 1,000,000 units per month in 2012. TSMC's customers are taping out 89 new designs on its 28nm process using the Open Innovation Platform (OIP) design infrastructure. The company is also introducing OIP enhancements, including the delivery of Reference Flow 12.0 and Analogue/Mixed Signal (AMS) Reference Flow 2.0. "TSMC customers can immediately take advantage of our 28nm advanced technology and manufacturing capacity while preparing for 20nm in the near future," said Cliff Hou, TSMC Senior Director for the Design and Technology Platform. "We have enabled customers to achieve their product design goals by closely collaborating with our EDA and IP partners to deliver a solid 28nm design ecosystem. In addition, the introduction of Reference Flow 12.0 and AMS Reference Flow 2.0 address critical design issues for the next generation of 28nm and 20nm applications." TSMC's 28nm design ecosystem is ready today with foundation collateral such as DRC, LVS and PDKs; foundation IP, including standard cell libraries, standard I/O, eFuse and memory compilers; and standard interface IP such as USB, PCI and DDR/LPDDR. Customers can download these materials at TSMC Online. Collaboration with the EDA community for 28nm has been equally thorough in order to achieve tool consistency for improved design results. One example is a unified DFM engine for 28nm now in use by Cadence, Mentor and Synopsys. Reference Flow 12.0 features various enhancements in: two-and-a-half dimensional and three dimensional integrated circuits (2.5-D/3-D ICs) using silicon interposer and through silicon via (TSV) technologies; 28nm model-based simulation DFM speed-up; and advanced Electronic System Level (ESL) design initiative enabling TSMC's process technology PPA (power, performance and area) to be integrated into system level design. In addition, Reference Flow 12.0 will disclose TSMC's 20nm Transparent Double Patterning design solution for the first time as part of the on-going build up of 20nm design capability within OIP. 20nm is the first process node where metal pitch is beyond the lithographic capabilities of existing exposure systems. Double patterning is the key enabling lithographic technology to overcome the litho resolution limitations without resorting to as yet production unproven technologies as EUV. TSMC's Transparent Double Patterning solution enables system and chip designers to access 20nm technology, implemented with double patterning, without any modifications to their current design methodologies or flows. This technology is being delivered to EDA partners and certified for delivery in their commercial products. Typically a 2.5D design includes multiple dies to be integrated with a silicon interposer, which is implemented in different technology. Reference Flow 12.0 features new design capabilities in floorplanning, P&R, and IR-drop and thermal analysis to accommodate multiple nodes simultaneously, as well as a new design for test methodology for 2.5D design. Timing degradation from wire and via resistance becomes more significant in finer geometry technologies: Reference Flow 12.0 introduces an enhanced routing methodology to minimize via counts, change layers for routing, or widen wires to mitigate the impact of wire and via resistance. Leakage current increases as threshold voltage and gate oxide thickness decrease in 28nm. Multi-Mode Multi-Corner (MMMC) leakage optimization accommodates different Vt options and gate-biased libraries enabling designers to more effectively reduce leakage. Finally, in order to minimize the design cycle time of hotspot checking and fixing in 28nm, a new "hotspot filtering engine" is added to the DFM Data Kit (DDK) to speed up model-based DFM analysis. AMS 2.0 helps designers to ensure the compliance of DFM and Restricted Design Rules (RDR) for custom design in 28nm. It demonstrates correct design configurations and options setting to use TSMC PDKs and DFM utilities. In addition, TSMC applies accumulated reliability lessons learned, and collaborates with ecosystem partners to introduce innovative approaches to filter out known potential reliability defects. TSMC and 21 OIP ecosystem partners will present and showcase the features and benefits of Reference Flow 12.0 and AMS Reference Flow 2.0. For RF designers, TSMC will introduce a new RF Reference Design Kit (RF RDK 3.0) which includes an advanced, silicon correlated, 60GHz Millimeter Wave design kit, and an innovative way for customers to design with their own choice of inductors through EM (electromagnetic) simulation. Researchers from North Carolina State University have developed two new techniques to help maximize the performance of multi-core computer chips by allowing them to retrieve data more efficiently, which boosts chip performance by 10 to 40 percent. Multi-core chips are supposed to make our computers run faster. Each core on a chip is its own central processing unit, or computer brain. However, there are things that can slow these cores. For example, each core needs to retrieve data from memory that is not stored on its chip. There is a limited pathway – or bandwidth – these cores can use to retrieve that off-chip data. As chips have incorporated more and more cores, the bandwidth has become increasingly congested – slowing down system performance. One of the ways to increase the core performance is prefetching. Each chip has its own cache and with prefetching, the cache predicts what data a core will need in the future and retrieves that data from off-chip memory before the core needs it. Ideally, this improves the core’s performance. But if the cache’s prediction is inaccurate, it unnecessarily clogs the bandwidth while retrieving the wrong data. This actually slows the chip’s overall performance. Using both sets of criteria, the researchers were able to boost multi-core chip performance by 40 percent, compared to multi-core chips that do not prefetch data, and by 10 percent over multi-core chips that always prefetch data. The paper, “Studying the Impact of Hardware Prefetching and Bandwidth Partitioning in Chip-Multiprocessors,” will be presented on June 9th at the International Conference on Measurement and Modeling of Computer Systems (SIGMETRICS) in San Jose, Calif. The paper was co-authored by Dr. Fang Liu, a former Ph.D. student at NC State. With the acquisition of ipoque, a startup in Leipzig specialising in Internet traffic management and network analysis, German radio test equipment maker Rohde & Schwarz is entering an entirely new market segment in the field of security. Ipoque was founded in 2005 and focuses on bandwidth management and network monitoring, especially for critical and hard-to-detect protocols. This includes voice over IP (VoIP), peer-to-peer (P2P) file sharing and media streaming. Together with ipoque, Rohde & Schwarz will expand its radiomonitoring and radiolocation business: The company primarily develops products and systems for frequency management as well as for internal and external security. "For a long time now, we have been planning to enter the Internet traffic management market," said Peter Riedel, Head of the Radiomonitoring and Radiolocation Division and member of Corporate Management at Rohde & Schwarz. "We expect to gain an enormous potential for growth from this new segment. In acquiring ipoque, we have found a partner whose innovative and globally leading core technology – deep packet inspection (DPI) – blends in excellently with the portfolio of a high-tech company such as Rohde & Schwarz." Hendrik Schulze, co-founder and CTO of ipoque GmbH, also sees great potential in the collaboration with Rohde & Schwarz: "Backed by a renowned, solid partner, we will be able to tap new markets and customer groups. In addition, of course, we will profit from the worldwide Rohde & Schwarz sales network." Like other fully owned Rohde & Schwarz subsidiaries, ipoque will operate under the name "ipoque – a Rohde & Schwarz company". By acquiring ipoque, Rohde & Schwarz has tapped into a new business segment, which it plans to expand at a rapid pace. For this reason, the number of staff at the location in Leipzig, currently 72 employees, will be considerably increased said Riedel. Silicon Labs has launched what it claims is the industry's most energy-efficient wireless sensor node solution powered by a solar energy harvesting source. A turnkey energy harvesting reference design enables developers to implement self-sustaining, ultra-low-power wireless sensor networks for home and building automation, security systems, industrial control applications, medical monitoring devices, asset tracking systems and infrastructure and agricultural monitoring systems. A solar-powered wireless sensor node that measures temperature, light level and charge level, using an Si10xx wireless MCU to control the sensor system and transmit data wirelessly and a thin-film battery to store harvested energy. 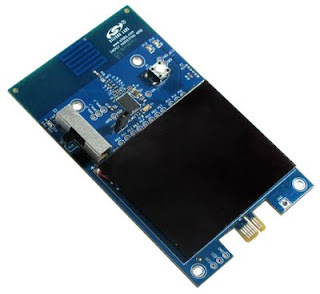 A wireless USB adapter that connects the wireless sensor node to a PC for displaying sensor data; the adapter features Silicon Labs' Si4431 EZRadioPRO transceiver with an MCU running USB-HID class software and EZMac wireless software stack. A wireless sensor network GUI that displays data from up to four sensor nodes. The thin film battery used in the energy harvesting reference design has a capacity of 0.7 mAh. In direct sunlight, the battery can be recharged fully in only two hours. While in sleep mode, the wireless sensor node will retain a charge for 7,000 hours. If the wireless system is transmitting continuously, it will operate non-stop for about three hours, although it is designed to constantly recharge itself at an appropriate level to keep the thin-film battery from completely discharging. The market for energy harvesting devices is poised to grow exponentially this decade. IDTechEx forecasts that more than ten billion energy harvesting devices will ship by 2019 - a 20x increase over the roughly 500 million units that shipped in 2009. Although systems powered by harvested energy sources have existed for many years, developers have been challenged to implement wireless sensor nodes within very low power budgets. Energy harvesting simplifies these applications by eliminating the inconvenience of replacing batteries in inaccessible locations, while also reducing the quantity of depleted batteries for recycling or dumped in landfills. "As part of our global commitment to green technology, Silicon Labs has advanced the use of energy harvesting technology to free wireless networking systems from the cost, inconvenience and negative environmental impact of conventional batteries," said Mark Thompson, vice president of Silicon Labs' Embedded Mixed-Signal products. "By combining ultra-low-power wireless MCU technology with a state-of-the-art energy harvesting system, Silicon Labs has delivered the industry's most energy-efficient, self-sustaining wireless networking solution." Silicon Labs' energy harvesting reference design accommodates a wide range of harvested energy sources. An on-board bypass connector gives developers the flexibility to bypass the solar cell and tap other energy harvesting sources such as vibration (piezoelectric), thermal and RF. Ford engineers in Germany have developed a car seat that can monitor a driver’s heartbeat. Ford developed the six-sensor system positioned on the surface of the seat backrest. The unobtrusive electrodes have been specially designed to be able to detect the electronic signature of the heart through clothing. Ford is also researching how to use its SYNC technology and its ability to connect devices via Bluetooth, access cloud-based Internet services and control smartphone apps to develop voice-controlled in-car connections to health aids from glucose monitoring devices, diabetes management services, asthma management tools and Web-based allergen alert solutions. NetLogic Microsystems is shipping its NL11k family of IPv6 knowledge-based processors in volume for delivery to customers’ next generation of IPv6 switches and routers. The first of over two dozen IPv6 systems from leading original equipment manufacturers (OEMs) that are using the NL11k knowledge-based processors will begin shipping in production in the third quarter of 2011, with the remaining customer systems expected to commence shipping over the following twelve months. These new systems from Tier One OEMs are now being launched to support an increased level of IPv6 traffic with typical configurations now handling up to 33% native IPv6 traffic, which represent a major upgrade from previous generations of IPv4 equipment. To support IPv6’s 4x longer Internet addresses, as well as the exponential increase in the complexity and throughputs of network traffic, these new systems are adopting the most advanced knowledge-based processors from NetLogic Microsystems. This results in a more than doubling of the dollar content of knowledge-based processors per system over previous generations of equipment across every OEM customer. In addition to these NL11k processor-based systems, Tier One OEMs are also designing with NetLogic Microsystems’ NL10k and NL82048 families of IPv6 knowledge-based processors into additional systems that will begin shipping throughout 2012. Moreover, these OEMs are expected to continue to upgrade their IPv6 equipment over their following successive generations of equipment to be able to support the ever increasing native IPv6 traffic in which is expected to continue to grow and become the substantial majority of traffic over time. The exhaustion of IPv4 Internet addresses, driven by the proliferation of connected mobile devices, is forcing service providers and network owners to migrate to the new IPv6 Internet addressing scheme which increases the number of available addresses by more than 28 orders of magnitude. According to the Wall Street Journal in a Feb. 1 article, a permanent shift to IPv6 is now inevitable following the Internet Assigned Numbers Authority’s (IANA) final allocation of its free pool of available IPv4 addresses. Industry momentum in the migration to IPv6 continues to accelerate. On June 8th this year, Internet giants and service providers such as Google, Facebook, Yahoo, Comcast, Time Warner Cable and Akamai will offer and deliver their content over IPv6 in preparation for a successful transition as IPv4 addresses run out. This migration to the longer IPv6 addresses, coupled with the exponential increase in the complexity and throughputs of network traffic, are driving an unprecedented need for knowledge-based processors with significantly higher performance and database capacity. To meet these stringent requirements, new knowledge-based processing architectures and circuit innovations such as those offered by the NL11k processor are needed to accelerate complex networking functions such as classification, security, routing/forwarding and deep-packet inspection. The NL11k processor family adopts a ground-breaking “hybrid” architecture that combines its best-in-class, massively parallel knowledge-based processing engines with the low-power efficiency and flexibility of its algorithmic Sahasra technology to reduce power consumption while delivering higher performance, capacity and scalability. The NL111024 knowledge-based processor, the flagship product in the NL11k family, delivers 1.6 billion decisions per second (BDPS), and integrates 128 high-performance knowledge-based processing engines, the Sahasra Algorithmic Engines (SAEs) and an enhanced Intelligent Load Balancing Engine (ILBE) to efficiently allocate multiple tasks and communicate among all the knowledge-based processing engines and SAEs. The NL11k processor family also features the world’s first knowledge-based processors with high-speed serial interface that delivers 225 Gbps of raw chip-to-chip interconnect bandwidth. This represents a 340 percent increase in I/O bandwidth-per-pin to deliver an improved balance between the processing engines and the I/O performance to allow wider IPv6 keys to be processed at the same search rate as narrower IPv4 keys. This enables significantly higher system performance and system density for next-generation systems to enable significantly richer services for LTE and IPv6 equipment. 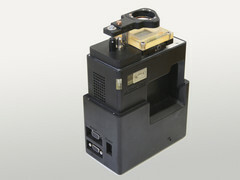 Manufactured in 40nm process technology, the NL11k knowledge-based processors also integrate an innovative Range Encoding Engine (REE), which employs advanced one-hot and fence encoding algorithms to implement range encoding that allows customers to effectively double the efficiency of performing port range inspection. Redpine Signals has developed a family of highly integrated semiconductor products conforming to the 802.11n standard that are the first MIMO chips to support "software configurable simultaneous dual-band." This patent pending feature enables the system integrators to re-configure the MIMO chipset on-the-fly from a 3-Spatial Stream 450Mbps 3x3 system (working in either 2.4GHz or 5GHz ISM bands) into a simultaneous dual-band system with 150Mbps in one band and 300Mbps in the other band. Simultaneous dual-band enables robust QoS provisioning for demanding video applications in crowded wireless environments, and the Maxi-Fi® BEAM450 provides this at zero cost and power overhead to the system. The new Maxi-Fi products include the RS9330 802.11n Baseband chip interfacing to either the RS8330 (Dual-band MIMO Radio chip) or the RS8331 (Dual-band MIMO Radio chip with built-in high power-amplifiers). Redpine also provides TURBO900 and TURBO1350 reference designs, which use two or three RS9330 chips respectively. These designs provide physical layer throughputs of 900Mbps and 1.35Gbps on a "single" PCI-e host interface, thus addressing the performance requirements of today's most demanding wireless video applications. With CMOS integration of a high performance MAC, baseband processor, analogue front-end, crystal oscillator, calibration EEPROM, balun, dual-band RF transceiver and dual-band high-power amplifiers (RS8331 only), the chips are targeting high throughput and high QoS wireless applications such as HD video streaming, storage devices, wireless routers, broadband access modems, televisions, access points, and set-top boxes. The chipset maintains over 300Mbps of TCP data throughput on various host platforms and runs on the 802.11n MAC on an SoC based on Redpine's proprietary four-threaded processor (ThreadArch) with very low-host overhead. The chipsets will be sampling in Q3-2011, with volume shipment scheduled for Q1-2012. Digilent has launched a development board for the popular open source Arduino microcontroller technology based around a 32bit chip from Microchip, reducing the cost of the boards and the end system. This will open up more opportunities for prototyping, teaching in universities and hobbyists as well as other non-electronics applications. 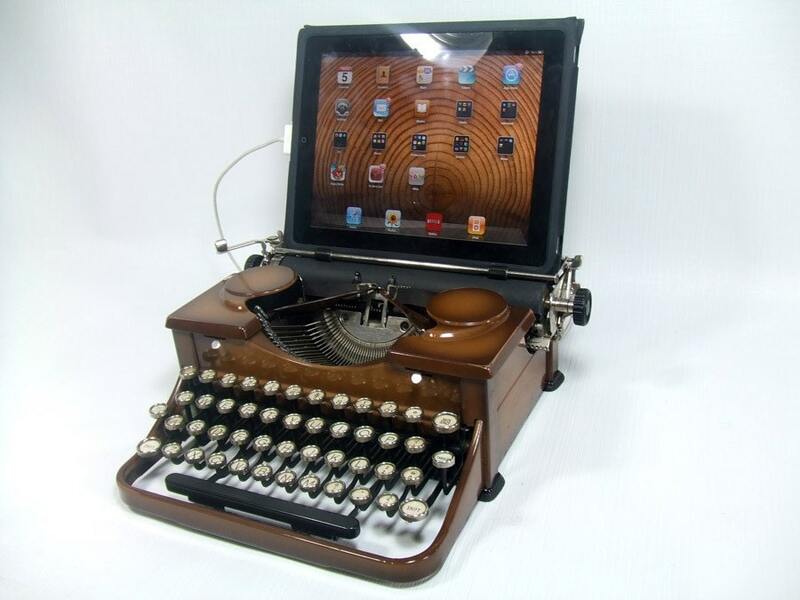 The recent USB typewriter (below), for example, was based on the Arduino platform. Designed and manufactured by Digilent, the chipKIT platform enables hobbyists and academics to easily and cheaply integrate electronics into their projects, even if they do not have an electronic-engineering background. The platform consists of two PIC32-based development boards and open-source software that is compatible with the Arduino programming language and development environment, thanks to the work done by Mark Sproul and Rick Anderson through Fair Use Building and Research Labs. A key point is that the 32bit chipKIT hardware is compatible with existing 3.3V Arduino shields and applications, and can be developed using a modified version of the Arduino IDE and existing Arduino resources, such as code examples, libraries, references and tutorials. This means existing code can be easily dropped into the development system, with boards at $27 and $50. The chipKIT boards use a PIC32 MIPS M4K processor running at 80MHz with up to 512KB Flash and 128KB RAM, as well as Ethernet, CAN, and USB (Full-Speed Host, Device and OTG); plus peripherals such as multiple timers, a 16-channel 1 MSPS Analogue-to-Digital Converter (ADC), two comparators, and multiple I2C, SPI, and UART interfaces. At the same time the Arduino programming environment has been modified and extended so that it supports the PIC32-based chipKIT boards, as well as traditional Arduino boards. The Arduino standard libraries have been also been modified to support chipKIT boards and traditional Arduino boards. All of this work has been contributed back to the open-source Arduino community. Aside from a small number of shields that require 5V operation, many existing Arduino hardware and software sketches are compatible with the chipKIT platform, without modification. The chipKIT Uno32 (part # TDGL002) development board is a clone of the Arduino Uno board, and features 128 KB Flash program memory and 16 KB RAM, with two each of the I2C, SPI and UART peripherals. This board is priced at $26.95 each. A clone of the Arduino Mega board, the chipKIT Max32 (part # TDGL003) development board features 512 KB Flash program memory and 128 KB RAM, with USB, CAN and Ethernet communication, as well as 5 each I2C, 4 each SPI, and 6 each UART peripherals. The chipKIT Max32 board is priced at $49.50 each. Both chipKIT boards can be ordered today, at http://www.microchip.com/get/TDD2. Additionally, the open-source software for both boards is available today at http://www.microchip.com/get/TDD2. chipKIT Network and I/O Shields are expected to be available in June 2011. In a move that will be welcomed by many embedded system designers, Freescale has ported its Coldfire architecture to 90nm and added more mixed signal capability to give higher integration and lower power consumption. 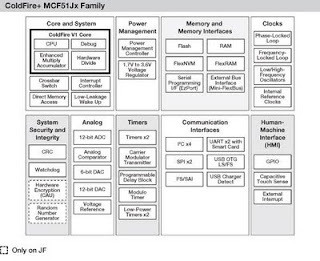 Built on 90nm thin film storage flash technology with FlexMemory, the ColdFire+ MCF51Qx and MCF51Jx microcontroller (MCU) families are built upon Freescale’s strong heritage of 32-bit MCU development and the new families are the next step in the evolution of ColdFire architecture says the company. The ColdFire+ Qx and Jx families bring new features to the ColdFire portfolio, including FlexMemory, configurable embedded electrically erasable programmable read-only memory (EEPROM), highly-accurate mixed-signal capability, low-power features and additional application-specific peripherals for consumer devices. The ColdFire+ Qx and Jx product families are aimed at industrial applications like building control (HVAC and light automation) and portable medical devices, as well as portable consumer devices. Capabilities include encryption and security, USB audio, capacitive touch interfaces and display technology. ColdFire+ MCUs can provide these functions while helping to provide optimal battery life and reduced size and cost. ColdFire+ MCUs also offers a touch sensing module, which, when combined with Freescale’s recently introduced Xtrinsic Touch-Sensing Software, simplifies touch key configuration by allowing multiple electrode array combinations and provides designers a full-scale, highly accurate and robust touch sensing solution. The software bundle features Freescale’s complimentary MQX real time operating system (RTOS) with USB audio, mass storage, human interface device and class stacks that help simplify hardware management and streamline software development. Also included is CodeWarrior Development Studio, a comprehensive integrated development environment with MQX RTOS kernel awareness for advanced debug support that is based on the Eclipse open development platform, providing a visual and automated framework to accelerate the development of complex embedded applications. In addition, Freescale’s Tower System, a modular development platform, potentially saves months of development time through rapid prototyping and tool re-use. Cambridge antenna developer Antenova has developed a surface mount GPS Radio Antenna Module taht combines the u-blox 6 GPS chipset with Antenova’s high performing GPS antenna for embedded GPS, machine-to-machine (M2M) and mobile device manufacturers. The M10382 uses Antenova's latest Laser Direct Structuring (LDS) technology in a compact low profile package to give a complete GPS system solution in a compact surface mountable device with novel external matching which offers ease of tuning for each device platform. The M10382 is a highly integrated GPS RF antenna module suitable for L1-band GPS and A-GPS systems. The device combines the u-blox 6 UBX-G6010-ST GPS receiver IC with Antenova’s high efficiency GPS antenna. All front-end and receiver components are contained in a small 24.2 x 9.9 x 3.9 mm3 surface mountable device providing a complete GPS receiver for optimum performance. M10382 operates on a single 1.8V or 3.3V positive supply with low power consumption and several low power modes for further power savings. An accurate 0.5ppm TCXO and very low noise LNA ensures high sensitivity and short time-to-first-fix (TTFF). The M10382 is supported by u-blox stand alone software and is compatible with UART, SPI, DDC, I2C and USB host processor interfaces. M10382 also benefits from Antenova’s patented external matching that ensures easy tuning for each platform. Dutch chip maker NXP Semiconductors has demonstrated car-to-x (C2X) communication on a public road in the Netherlands. With this demo, NXP is the first semiconductor company to take the step from showing concepts to actually demonstrating an automotive-ready hardware platform for connected mobility. NXP has co-developed the C2X platform with Australian-based Cohda Wireless to combine telematics for location-based services and networking security so that the car can communicate with kerb-side and wide area systems and other cars. The C2X communication uses the IEEE802.11p wireless standard designed specifically for automotive applications. This allows cars to communicate with each other (car-to-car) as well as with intelligent traffic infrastructure (car-to-infrastructure) around them. The C2X platform from NXP and Cohda picks up information from other cars and static traffic systems so that drivers receive early warnings of cars hidden from sight behind trucks or approaching from around corners. Other use cases are warnings about emergency vehicles and traffic jams, or traffic light signals allowing drivers to adjust their speed and optimize driving. The C2X platform is able to meet the requirements of the automotive industry: reliable signal reception for fast-moving objects even in difficult surroundings, cost-efficient design, and flexible programming. It uses Cohda’s 802.11p patented radio reception algorithms and is based on NXP’s multi-standard radio reception platform. NXP is project leader of the Dutch SPITS research project (SPITS: Strategic Platform for Intelligent Transport Systems) and is also demonstrating intelligent traffic data analysis from the in-vehicle networks, as well as emergency and breakdown calls based on NXP’s telematics module, ATOP. The Strategic Platform for Intelligent Transport Systems (SPITS) project has three main areas: traffic management and safety, concepts for open in-car platform, and downloadable services. SPITS was aimed at creating an open and affordable intelligent transport system platform, which is scalable, secure and real-time. The Dutch Ministry of Economic Affairs has subsidised the project. The consortium is lead by NXP Semiconductors and consists of eight companies (NXP, TomTom, TNO, Logica, Catena, Task24, Foutress, GreenCat), one research institute, and four universities. The SPITS system comprises the vehicle on-board unit (OBU), the Road Side Unit (RSU) infrastructure, and the Back Office (BO) service centre. Communications between these elements is a major part of the Strategic Platform. After the SPITS project officially ends, consortium members will continue to refine the SPITS results for commercial use across Europe and beyond. These projects represent an investment by the Government to retain key knowledge from R&D companies within the Netherlands, following the economic crisis. A research project at the Vienna University of Technology (TU Vienna) is aiming to could turn futuristic 3D-printers into affordable everyday items. Printers which can produce three-dimensional objects have been available for years but the project has developed a much smaller, lighter and cheaper version that could be mass produced to brign down the cost. This would allow anyone to produce small, taylor-made 3D-objects at home, using building plans from the internet – and this could save money for expensive custom-built spare parts. Several scientific fields have to come together to design the 3D-printer. The device was assembled by mechanical engineers in the research group of professor Jürgen Stampfl, but also the chemical research by the team of professor Robert Liska was of crucial importance: first, chemists have to determine which special kinds of synthetic material can be used for printing. The basic principle of the 3D-printer is quite simple: The desired object is printed in a small tub filled with synthetic resin. The resin has a very special property: It hardens precisely where it is illuminated with intense beams of light. Layer for layer, the synthetic resin is irradiated at exactly the right spots and as one layer hardens, the next layer can be attached to it, until the object is completed in a process called 'additive manufacturing technology'. “This way, we can even produce complicated geometrical objects with an intricate inner structure, which could never be made using casting techniques,” said Klaus Stadlmann who developed the prototype together with Markus Hatzenbichler. This method is not designed for large-scale production of bulk articles – for that, there are cheaper alternatives. The great advantage of additive manufacturing is the fact that is offers the possibility to produce bespoke individually adjusted items. The prototype of the printer is no bigger than a carton of milk, it weighs 1.5 kilograms, and at just 1200 Euros, it was remarkably cheap. “We will continue to reduce the size of the printer, and the price will definitely decrease too, if it is produced in large quantities”, Klaus Stadlmann believes. The individual layers hardened by the light beams are just a twentieth of a millimetre thick. Therefore, the printer can be used for applications which require extraordinary precision – such as construction parts for hearing aids. Unlike previous models, the printer at TU Vienna uses light emitting diodes (LEDs), with which high intensities of light can be obtained at very well-defined positions. SiGe Semiconductor has had a chequered few years and has finally succumbed, being bought by up and coming power amplifier supplier Skyworks in a deal worth up to $275m. The acquisition of SiGe complements Skyworks’ wide area front-end solutions by adding SiGe’s innovative short range, silicon-based products. As a result, Skyworks will be able to offer customers a comprehensive wireless networking product portfolio, supporting all key operating frequencies with architectural flexibility to address a variety of high growth applications including smart phones, tablets, gaming consoles, notebook PCs and home automation systems. Key SiGe customers include Cisco, Dell, Huawei, Hewlett-Packard, NetGear, Itron, Microsoft, Nintendo, Samsung and Sony. Skyworks will pay $210 million in cash, plus an additional $65 million if certain performance targets are met over the next 12 months.